Thinglink EDU is a platform for making interactive images. Whether it be video, audio or text, it allows you to provide links to additional information. Creating an interactive image involves three simple steps: find an image to use as the background, add links using a range of icons and then share the finished product, whether it be as a link or by embedding it in a blog or a website. Like many programs with educational support, there are two subscription options. Firstly, a free account, which provides you the basics, including 100 student accounts, simple tagging and a small range of icons. While the premium educational version allows for almost unlimited student accounts, Google Drive integration and over a hundred different icons, including the option to use custom icons. One of the other great features of Thinglink EDU is the ability to remix. No matter which interactive image it is that you find, you can make it your own, adding your own elements and republishing a new version. Making an image with a series of questions for students to then remix and answer. Developing a map with links to mark a journey. Annotating a piece of work, using icons to highlight different features. Creating an interactive portfolio with links to different references. Finding an image that allows you to tell a story. In regards to data and policy, Thinglink EDU requires only an email address, first and last name from teacher users. For the Premium account, payment details are also collected. Data is stored and processed on computers located in USA or EU. Thinglink collect information for the purposes of providing and developing the service. Some of the features offered might rely on the use of information we have collected from you in order to ensure that the feature in question is customised and targeted for your specific use. The personal data provided can also be used for direct marketing unless you let Thinglink know that you do not wish to receive such content. The personal data can also be used for contacting you if required for the provision of the service. 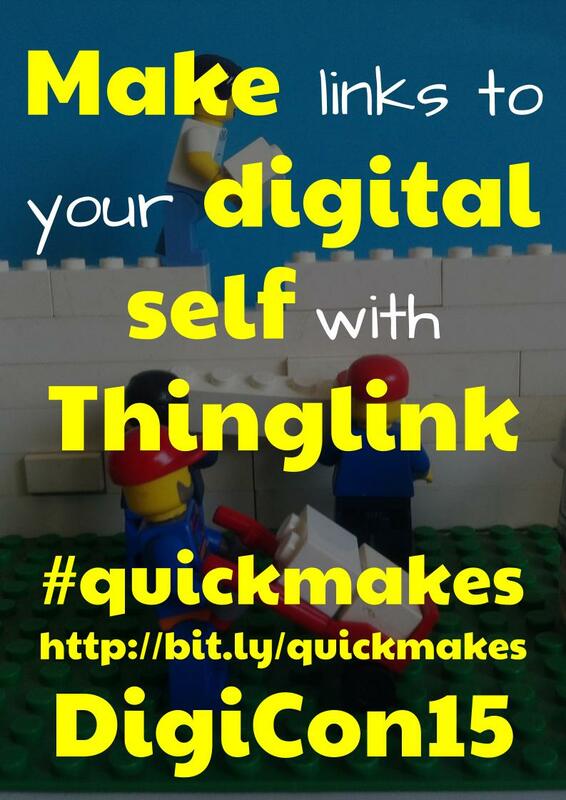 Thinglink Teacher Challenge – A series of challenges and ideas about how to use Thinglink EDU. Susan Oxnevad’s ISTE Resources – A great collection of images showing some of the many potentials. Extending the Classroom Walls – A post reflecting on some of the different possibilities. Thinglink and Storytelling – My own example of how Thinglink can be used to tell a deeper story. Verified Accounts for Schools and Districts – A post explaining some of the different account options. An Introduction to Thinglink EDU by Aaron Davis is licensed under a Creative Commons Attribution-ShareAlike 4.0 International License.